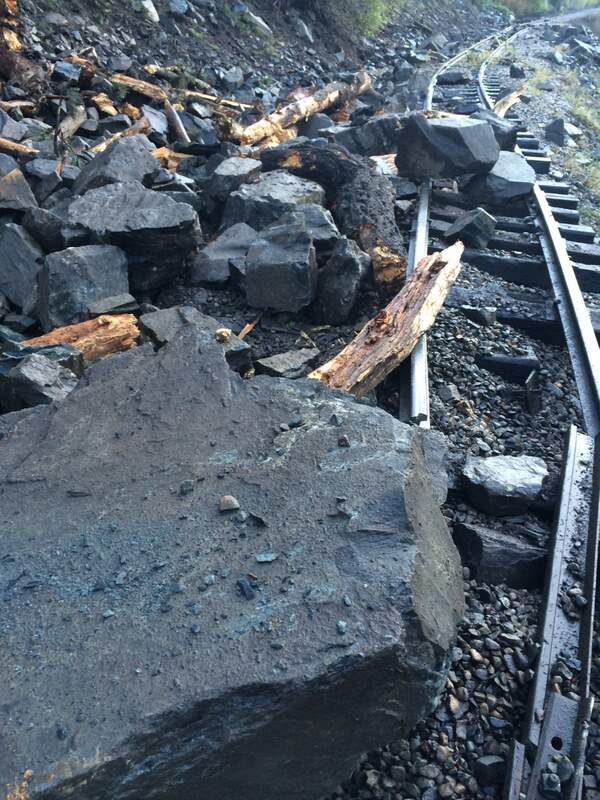 A small rockslide broke the rail of the Durango & Silverton Narrow Gauge Railroad late Wednesday or early Thursday, preventing the daily train from making it to Silverton. 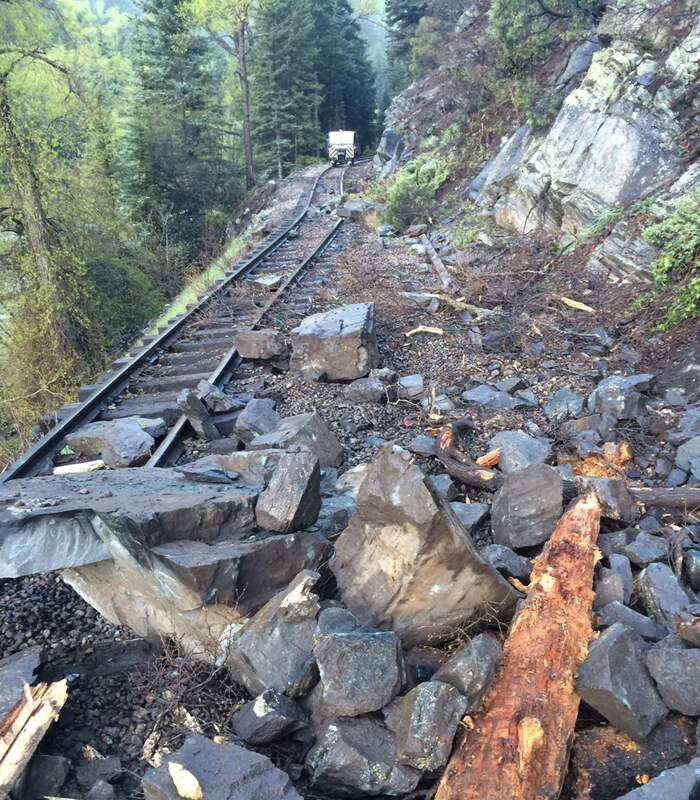 A rockslide tore apart the tracks of the Durango & Silverton Narrow Gauge Railroad late Wednesday or early Thursday. The train now will run to the Cascade Wye. It was unknown how long repairs will take. Falling rock broke the rail of the Durango & Silverton Narrow Gauge Railroad, canceling runs to Silverton for an undetermined period of time. There’s a chance, however, that service could be renewed as early as Saturday. The mangled track was discovered early Thursday by the patrol that precedes the first run of the day, railroad business manager Gary Keil said Thursday. The break in the line occurred about 14 miles south of Silverton. It’s one more piece of bad news for the town of 600 residents, many of them merchants with dependents who count on tourism dollars for survival, much of it from train riders. The closure of Red Mountain Pass for a month in early 2014 to stabilize a shaky hillside forced drivers to take a detour around the town. Another blow occurred in May last year when the Iron Horse Bicycle Classic ended at Purgatory because snow made riding to Silverton problematic. Now, Silverton merchants couldn’t be blamed for thinking they’re jinxed. The train season, which began only last Saturday, already has a hiccup. The railroad plans to run a train to the Cascade Wye on Friday, marketing manager Christian Robbins said. Officials then will decide if they will be able to renew service Saturday. It wasn’t a landslide that covered the track but a number of boulders that broke the rail, Keil said. The rail will have to be replaced and the rail bed repaired.